Growing up on the I was fortunate to meet some incredible people. Many of those people were incredible from a sporting view, either in ability or talent. One of these people was Lauren Dance, a national triathlete who has steadily started climbing the ITU Rankings. 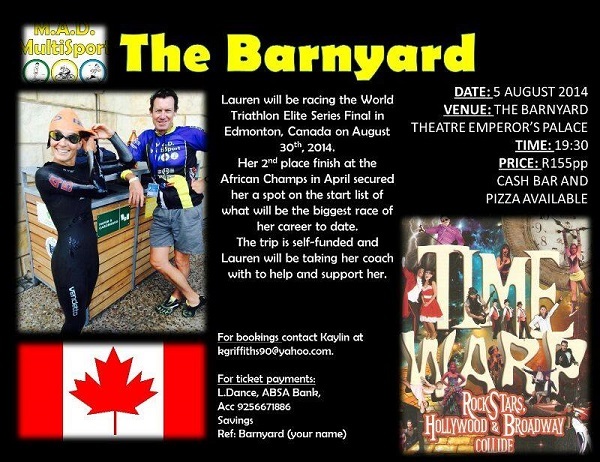 She now heads off to Canada for her first elite event and will be hosting a fund-raiser to help her get there. We spoke to Lauren about all things sport. ATJ: Over the last few years we have seen you get closer to winning the African Title, is that a big goal of yours? LD: Definitely! Winning the African title is a very big goal of mine. 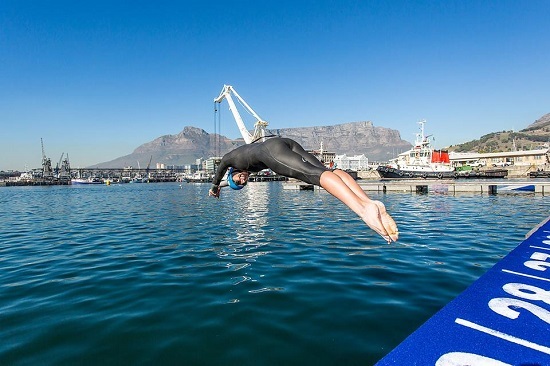 ATJ: What has been the highlight of your triathlon career so far? LD: This is difficult to say. Every season I have some amazing high and lows that have shaped me into the athlete I am busy becoming. I have won a Junior European cup before and I have finished dead last at u23 World Champs before, this year I had my best result by coming 2nd at the Africa Champs in my first Elite season and a month later I got lapped out of what was my biggest race to date. These are all significant highlights that give me the invaluable experience that no one can teach me. 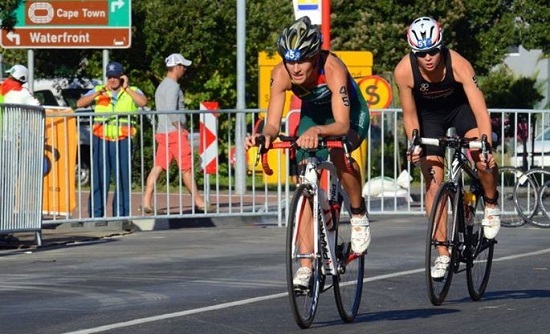 ATJ: Kate Roberts and Gillian Sanders represented South Africa at the 2012 London Olympics, is it your goal to qualify for 2016 in Rio? LD: Yes definitely! And hopefully 2020 and 2024 as well. 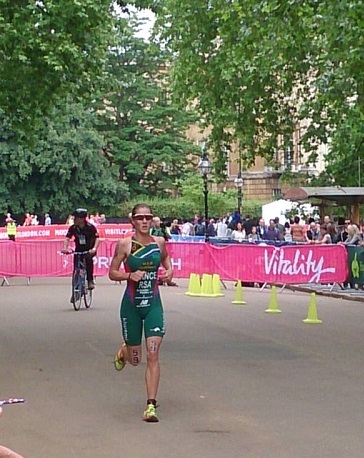 ATJ: Why did you take up triathlon, what enticed you? LD: I actually got into triathlon by mistake. I got sponsored my first bike by a family friend and I did a triathlon with no training during grade 11. I didn’t have a lift there so I got a lift with the CBC coach, Mike Moriarty. A year later Mike asked if I would be interested in giving triathlon a try. I said yes. On my very first cycle it was cold, wet, misty and extremely windy. I was meant to ride 85km but was getting left behind by a 60odd yr old man. I never finished the ride, I made 50km. (I think it was more painful for my coach to watch me) since then I was hooked! Its tough sport, mentally, physically and emotionally. As an athlete you keep breaking boundaries and surpassing limits you never knew you had. And that is what keeps me coming back. ATJ: Who is the toughest triathlete you have ever competed against? LD: To be honest I compete against extremely tough athletes in every race. I have never seen such talented and strong girls before, and SO many of them. ATJ: Do you have any role models in the sport? ATJ: As a triathlete have you ever competed in the iron-man? LD: No. My race distance is known as Olympic Distance or Standard Distance, this is a whole lot shorter than the Iron-man. My race takes about 2hrs to complete and is performed at 80-90%. The Iron-man race takes approximately 8-9hrs for pro women. ATJ: What is your next challenge you are facing? LD: The next challenge I am facing is my first Elite World Championship race in August. After that its working to be the best in Africa and climbing the world rankings, being able to be competitive with the best athletes in the world. This year has been the start. ATJ: Do you have any sponsors that help you on what can be a very expensive journey? LD: I am extremely fortunate to have some amazing people and companies supporting me, I get lots of help with kit and gear that gets very expensive. M.A.D. Multisport, this is my club, but also a massive help to me, covering race entry fees and often much more. ATJ: How much time a week do you spend training? LD: Depending on the time of year I spend between 22 – 28hrs a week training. Usually 3 sessions a day, sometimes even 4 or 5 sessions. ATJ: Where can readers find you on social media or stay up to date with your results?